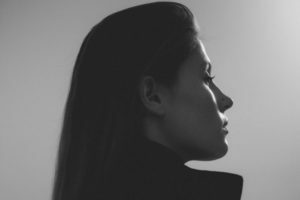 There’s a new force stirring in the techno scene and it’s safe to say Charlotte de Witte’s rise to the top has been nothing short of stratospheric. The Belgian artist is only 25 and still she’s managed to find herself at the top of numerous festival and club line-ups. Her first few releases as a producer came via Turbo but since then she’s dropped records via OFF Recordings, Sleaze and MARY GO WILD BLACK, with more in the pipeline ready to be showcased on a dancefloor near you. Her real appeal comes in the form of her furious, well-considered DJ sets and she seems just as comfortable playing at Gashouder for Awakenings’ New Year’s celebrations as she is at places like Tomorrowland and Printworks. Videos of her sets and clips of her rolling out monstrous techno jams usually go viral as soon as they’re posted and over the last five years de Witte has honed her craft to become one of the most in-demand selectors on the planet. The best seems yet to come though as she’s already got nearly 30 gigs in the calendar for 2018, a number that’s sure to rise over the coming months. We’ve teamed up with aiaiai to find out what tunes make de Witte tick and we’ve delved into her recordbag to listen to the tracks causing a ruckus in her DJ sets. With more configurations on offer than any other headphone on the market, AIAIAI have always prided themselves on being a little bit different. Their TMA-2 headphones are some of the most popular around and with their newly released H05 bluetooth headband now available, a whole new level of comfort, sound and freedom is available. Perfect for DJing, on-the-go and lounging around, there’s a choice for every music lover. For Charlotte, aiaiai’s classic configuration of the TMA-2 is her go-to. “Ever since things started getting more serious with DJing, I switched from Pioneer headphones to the aiaiai TMA 2. It’s my second pair, I broke the first one by probably being slightly too enthusiastic in the club. I know you can have different configurations but I just use the basic one,” says Charlotte. Head over the to the aiaiai website to pick your own perfect configuration and load up Charlotte de Witte’s stellar techno selection below. Make sure you pump that bass up, these ones are hot.